A former French hill station, located in the middle of the break-taking landscapes in the north of Vietnam, Sapa is one of the most wonderful places in Asia and is a magical combination of landscapes, ethnic cultures and bracing mountain air. There are excellent areas for hiking through lush mountain valleys to the remote villages of different minorities, including the Black H’mong and the Red Dzao ….Let's join Sapa Easy Trek 2D3N (homestay) tour to experience all these. 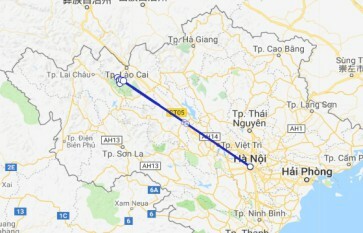 Pick you up at your hotel at 20:30 PM and transfer to Hanoi Railway Station for the night train to Lao Cai Station. Overnight on the train. 05.00 - 05.30AM: Arrive in Lao Cai early in the morning. Pick up and transfer to Sapa by shuttle bus, refresh and breakfast at the hotel. 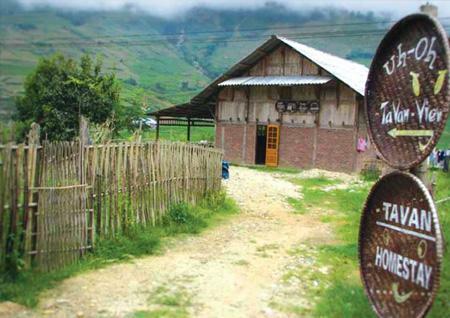 09.30AM: 12 km of trekking, visit Y Linh Ho and Lao Chai villages of the H’mong minority. After lunch at a local family in Lao Cai or in a drinking shop nearby the river bank, we keep on hiking to Ta Van village of the Dzay where we stay overnight in a local family. Here you have opportunity to experience their daily life, work and original custom. Start trekking at 9:30am, about 8 km walking to visit 2 villages of the red Dzao, the H’mong (Giang Ta Chai & Su Pan). Visit a beautiful waterfall and rattan bridge. Enjoy landscapes… through bamboo forest on the way to the main road to get the jeep to return to Sapa. Free time before transferring to Lao Cai train station by bus for the night train back to Hanoi. End of tour. 8Km of trekking, 12 Km of driving back to Sapa. We would highly recommend this worthwhile and fantastic way to trek in Sapa. Our guide Su Sung was excellent and provided us with lots of information and knowledge and was also very accommodating and intuitive. We loved or walk and a special detour which made the walk so interesting. Sounds like they have lots of options and we would use again. Best guide Low cost with awesome service. Helpful guide with good arrangement, We no need worry for the itenary...will recommend to my friend. Breath taking views Recommended to everyone who need to loose weight to do the holiday adventures and appreciate the nature. Beautiful!